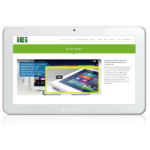 IEI Integration Corp. is a leading industrial computer provider. IEI’s products applied in computer-based applications such as factory automation, computer telephony integration, networking appliances, security, systems, IOT and many more. IEI is alliance with Intel, Microsoft, Wind River, SAP, Amazon to offer a complete intelligent system with various options including kinds of hardware devices, different operating systems etc. collaborating new applications, and expanding the market.  Trans Innovation Group is glad to distribute IEI top quality solutions in the Israeli market. IEI has been developing and manufacturing complete Healthcare solutions for more than 10 years that greatly enhance management, monitoring and maintenance efficiency in hospitals. 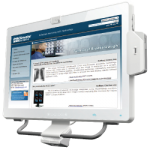 The IEI bedside terminal facilitate nurses working procedure by integrating a smart card reader, RFID chip and a state of the art LED screen into an all-in-one inclusive terminal. 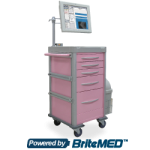 Designed for easy maintenance, the IEI medical cart computer features maximum efficiency for the medical environment. 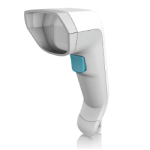 Hand-held 2D barcode reader that enhances the medical cart computer functionality by easing information input and output. 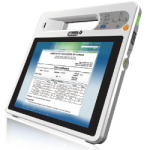 Compact touch medical tablet that allows doctors to get patients status anywhere, anytime. 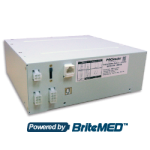 A medical battery that keeps patients and staff safe with the use of a smart over charging, over discharging and short-circuit protection. 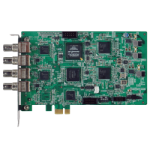 Record, decode and stream HD video to fulfill the demands of various applications. Click here to visit iEi!